Surprisingly, to us at first, was the number of organic and health food grocery stores in the area. No, there is no Good Food Store like in Missoula, nor is there an Amazon/Whole Foods within an 8 hour drive. But, there is a Natural Grocers nearby and there are a number of smaller, local grocery stores within a thirty minute drive. For some, this is far, for those of us who have spent time in Phoenix, it’s an easy jaunt. So here’s a quick list, with our usual check mark if we’ve been. The downtown Whitefish store, one block off of Central on 3rd Street, this is a small health food store with organic produce, supplements, the usual staples, plus dog food. We don’t recall seeing large bags of dog food at any of the others, so we liked that a small store chose to use space for animals. It’s also where we bought our vitamin D, to compensate for the short days. 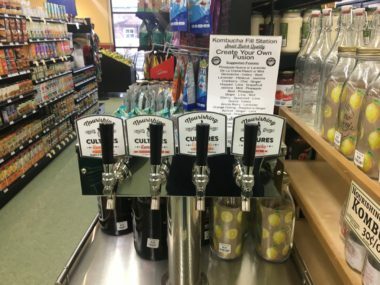 Also, as we’ve learned, Kombucha fill stations are becoming more common, and they have one. 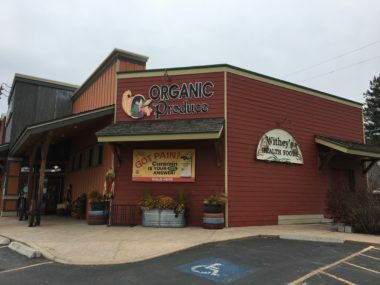 Located in the big box stretch of stores just north of Kalispell (15 minutes south of Whitefish), this is the typical Natural Grocers that we’ve become accustomed to on our journeys. It’s got organic food and a wide variety of supplements and juices. 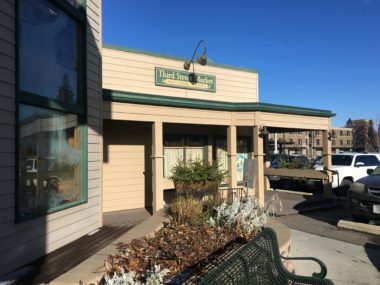 A family owned health food store that has been in business in the area for over 25 years, and at the location in north Kalispell since 2004. It’s small, like the Third Street Market and Whitey’s, but has a nice juice bar and a Kombucha fill station. Very cool. We’re by no means anti-corporation, but we do like family-owned. If you’re of that mind, we recommend you pick up a growler of Kombucha for your stay or a bowl of homemade soup. Another family owned store that actually pre-dates Mountain Valley Foods is Withey’s. On the south side of Kalispell, it’s practically a landmark, and it’s where we picked up our Quest bar. While Withey’s lacks the juice bar of their friendly competitor, their connection to their customers is spot on. Our Quest bar find, our favorite of the supplement bars, were ordered specifically for one of their other customers. We’re happy they were. According to Apple Maps, there is a Sprouts Farmers Market in town. However, that does not appear to be the case, as the location is downtown and occupied by a clothing store. As we travel, we stop and write, and we eat. Whitefish doesn’t have the same hang-out vibe that Missoula and Bozeman have. Much of that is due to the lack of universities. But there are a few places to have coffee and surf the internet, while not feeling that you’re taking a table from someone else. With the sad demise of the Red Caboose, this is the primary hang-out coffee shop in the Whitefish. It’s got a large number of small tables and is frequently crowded. Rarely, except for the Wednesday in late September day we’re writing this, are they all full. Montana Coffee Traders does have another location south of downtown, as well as one in Columbia Falls. The Columbia Falls location, however is more of a restaurant and less of a hang-out. While also included in our breakfast review, the bakery was busy with the morning crowd filling up and ordering takeout. With two locations in Kalispell, City Brew is a Montana based coffee chain that has recently branched out to Wyoming and North Dakota. It’s a lot like a Starbuck’s or Coffee Bean, but a large mug of coffee was $1.95 with a free refill. It was very comfortable and became one of our off-site offices. Now owned by City Brew, Colter Coffee Roasting is a small shop in Kalispell. With tall wood tables and wooden floors, it feels much less corporate than City Brew. We hope it stays, and that City Brew continues to market a less generic shop. While one of the cafes in the Stumptown Marketplace, and offering only only espresso drinks, we found ourselves drinking their Americanos and hanging out off hours with our laptops in one of the community tables. If you want a place to hang that’s off the beaten track, and pick up a variety of food, the Marketplace is a great option. As a still-rural area surrounded by ranches and farms and timber, outdoor work goes on year around. Not everyone has the time to stop inside for a mug. So coffee kiosks have become popular. There is a difference in melons. We picked up our Dixon melon [LINK] down south at the Sealey Lake farmers market, but you can pick one of a variety of Montana grown melons. 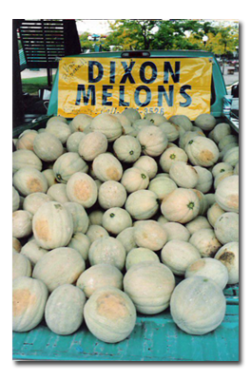 The traditional cantaloupe is what we usually pick up, but Dixon sells Crenshaw, honeydew, and regular and yellow watermelons. We highly recommend that you give one a try. For peaches in specific, or fresh produce, we suggest the Apple Barrel. It’s outside of town, closer to Kalispell, but their peaches are excellent. And they just happen to be next to a tasting room for Glacier Sun Winery, a local producer using grapes from eastern Washington and local produce, so no need to fret if you show up and the Apple Barrel’s closed.